Hello blog viewers! Good evening to all of you! How are you doing there? I hope all of you are doing fine. Last day, I went out with my sister in the restaurant. 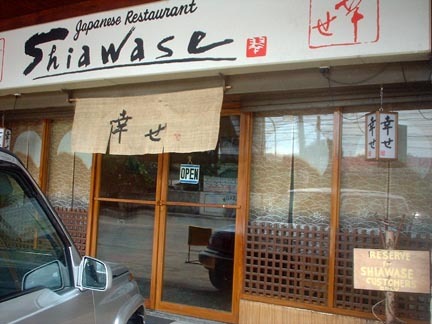 We went to Shiawase japanese restaurant located in Door#3 Pace Bldg. 1st Lacson St. Bacolod City. You know what??? This is the real taste of Japanese food. They are open sunday to thursday from 11am to 11pm and friday and saturday from 11am-1am. 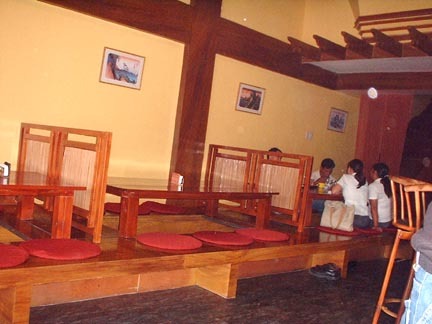 If you feel to eat the delicious japanese menu then this is the place to be!!! Hello blog viewers! Good evening to all of you! I hope all of you are doing fine there. 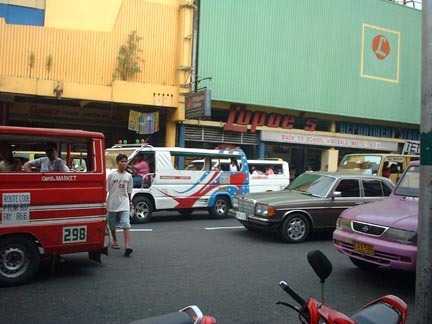 As you can see in the picture, that is the main street of downtown area of Bacolod City. It is wide and so clean. Passenger jeepneys are busy all the time from 5am until 12midnight…but taxi is available for 24 hours service, they just come and go around this area. What about tricycle and pedicab if you would like to ask me?? 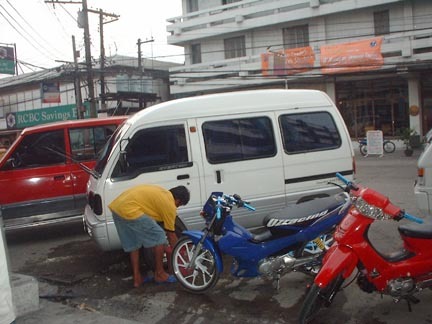 Well, I want you to know that tricycle and pedicab is usually available for each barangay only… they can drive on nearby streets not on the downtown area. They are not allowed to get passengers and take them in the city…it is quiet far from the origin of the place. And tricycle drivers ask higher payment of fare from it…than the jeepney…fare depends on the distance of your destination. if I will to choose what is the most convenient transportation commodity is the jeepney coz lesser fare…compare with others. Students pay only 5.50, citizens 7.00 and senior citizens 5.50 only. Hello blog viewers! Good evening to all of you! I hope all of you are doing fine there. Are you tired of washing your car? Do you need a service for just a low payment? Here is the street style car wash… due to poverty, many street children and teenagers indulge themselves into this kind of work. Although this job is not legal, because they don’t have permit from the government yet they still pursue to do this job…just to have an income. Most of this people are street individuals. The payment is fixed from 20.00 to 30.00, depends on the size of the car. This is how poor people make a living. They have to strive hard in order to live.